Does it stack up to the real thing? Despite the overwhelmingly large number of skin care products out there, fit for every need and available everywhere from drug stores to department stores to Sephora to Korea to the produce section, sometimes it feels like we&apos;re all just a bunch of suckers for marketing and the only truly effective skin care treatments involve a doctor. Of course, those clinical treatments can be very expensive and, you know, require one to make appointments and go to them in the middle of the day. 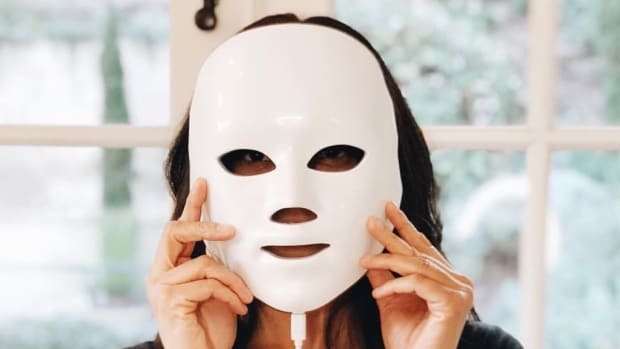 Enter illuMask: An at-home LED light therapy mask (the first ever, according to the brand) which comes in the form of an apparatus you wear on your face like a hockey mask. While other at-home light therapy devices do exist, they&apos;re usually more expensive -- around $75 to $400. This costs $30. It comes in two versions: one to combat wrinkles and another to combat mild to moderate acne. As a sufferer of mild to moderate acne, I tried the latter, which is supposed to kill the bacteria that causes acne with blue light, and reduce inflammation with red light. The brand promises results in four weeks, and that&apos;s exactly how long the mask will work, after which you throw it away. It&apos;s programmed for 30 15-minute uses. So, each day, you put on the mask, which is like a pair of glasses with a mask attached, press a button on a remote control-type-thing that&apos;s connected to the mask, and let it work its magic. It has eye holes so you can at least kind of see while it&apos;s on, but since it&apos;s attached to this kinda-heavy remote and doesn&apos;t give you any peripheral vision, you pretty much need to remain seated. And though it says you can have your eyes open during the treatment (which is a bunch of tiny LED lights shining onto your face), I found my eyes were a little uncomfortable even though no lights were shining directly into them. Overall, it was not the most convenient thing. I don&apos;t live with my boyfriend, so I&apos;d have to remember to bring the mask, which is not small or very easy to transport, with me to work on mornings I&apos;d be staying at his place. Oh, also, he thought it looked insane, which it 100% did. It&apos;s also made of plastic so you have to be careful not to break it while traveling with it. I wound up going on a trip shortly after starting my 30-day treatment (you&apos;re not supposed to skip days) and had to pack it in the box it came in to put it in my suitcase. It took up a lot of space. I could have brought another pair of shoes! Despite the inconvenience, I thought it was kind of fun. It made me feel like I was actually doing something effective, like I could feel the lights burning away my pimples. And for the first couple of weeks, things seemed to be going well. I certainly didn&apos;t get any new pimples and the couple I had seemed to be fading away. In fact, my overall skin condition seemed to be slowly improving -- less blackheads, smaller pores, etc. Then, things got a little weird: I would press the button and it would seem to click a whole bunch of times on its own and the little screen that displayed the number of treatments left stopped showing anything. Then, after maybe 20-25 uses, it just stopped working altogether, as if I had reached 30, though I definitely hadn&apos;t. And my skin didn&apos;t seem any better than it had a week or so prior. Disappointing, sure. But, the thing only costs $30. So, maybe you get what you pay for? By comparison, in-office light therapy procedures for acne can cost $75 to $300 per session, says Dr. Brian Zelickson, Minneapolis-based dermatologist and creator of MD Complete skincare, who performs blue light therapy for inflammatory acne. The patient usually goes in twice per week for three to four weeks. Each visit consists of a 20-minute session of blue light therapy. Overall, it&apos;s pretty easy and painless. "There is no downtime so patients can go right back to work, and wear makeup right after," explains Dr. Eric Schweiger, Medical Director and Founder at Schweiger Dermatology and Clear Clinic. However, it&apos;s not cheap: we&apos;re talking $450 to $2,400 total depending on the expense and number of treatments. So, it&apos;s easy to see why an at-home device would be preferable. The downside of those? "They provide very little energy output and are quite time consuming for daily treatment," said Zelickson, while devices he uses "deliver a sufficient amount of light for an effective response." And even those treatments, he says, are only meant to be one part of an acne management program. Though, he doesn&apos;t condemn at-home devices entirely -- he likes the Tanda Clear and Omnilux Clear - U, which are both a bit more expensive than the illuMask -- but says that they "are best used as part of a skin care acne treatment program. It is always best to consult your dermatologist for the best management of your acne." So while an at home mask won&apos;t hurt, it shouldn&apos;t be the only thing you use if you&apos;re in pursuit of perfect skin. If you want to try the illuMask, it&apos;s available at Walmart, Ulta, Target, Walgreens and via www.illuMask.com now. What Is LED Light Therapy — and Will It Give Me Perfect Skin? 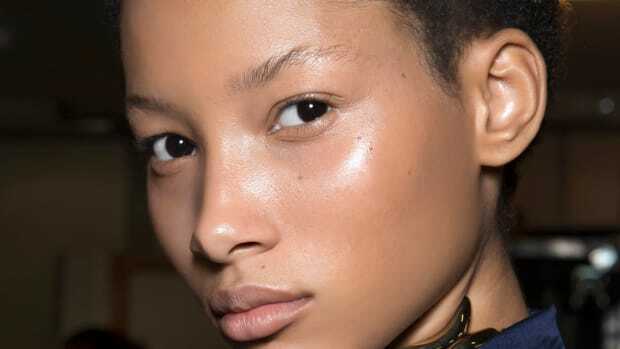 Dermatologists weigh in on getting clear skin once and for all. Hair was removed. But at what cost? How one dose held up through workouts, showers, the subway and a sunny soccer game.